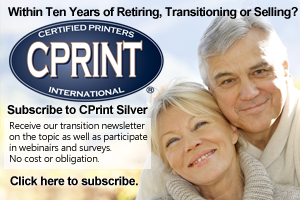 We help you implement a plan and make sure you are prepared to play the game in the CPrint program. While business coaching is term that may be thrown around by anyone; at CPrint, we’ve successfully coached owners for 30 years now. Start with a plan. 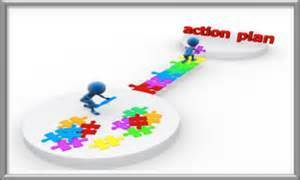 It’s the Action Plan that is established in our initial sessions. Then, during each month’s Status Conference, the plan is reviewed and updated. That way, projects never get lost. One mandatory Status Conference is conducted each month with additional unlimited special meetings as you wish. We do more than coaching. Takeaways: an Action Plan that changes as needed allowing you your coaches to focus on the things you agree that you need to do. Paybacks: the things that you focus upon gets done best. Whether it’s increasing sales, cutting costs, improving workflow or dealing with people; you will find your CPrint coach invaluable in helping you through those day-to-day and monthly issues while keeping you focused on the goal: making and meeting all budgets. Delivery: coaching occurs via video conferencing, email and telephone. Frequency is just as often as you need. No, you are not limited to a set amount of time each month; rather we focus on how much time is required for you to reach your goal(s). Commitment: Initial commitment is six months with a 60 day advanced cancellation should you wish not to continue. Recommended For: any business owners with issues, concerns and challenges. For more information, please message Tom Crouser at tom@cprint.com for a no-cost or obligation initial consultation and recommendation to see if coaching is right for you.